Dr Alois Alzheimer caught the first glimpse of amyloid plaques in the brain in 1906. Over a century later, the amyloid protein remains at the centre of efforts to understand and tackle Alzheimer’s disease. But should it be? We know there are other brain changes involved in Alzheimer’s and some people think these could be more relevant to the development of the disease and better targets for new treatments. In recent years, we’ve seen several trials of anti-amyloid drugs shelved after failing to benefit patients, so is it time to rethink the whole amyloid approach? The build-up of amyloid in the brain is thought to trigger a biological chain of events that causes damage to nerve cells and the symptoms of Alzheimer’s. This idea is known as the amyloid cascade hypothesis – a theory that has been central to Alzheimer’s research for nearly three decades. At this week’s Alzheimer’s Association International Conference, leading amyloid expert, Dr Dennis Selkoe outlined the evidence for the amyloid hypothesis and updated a packed conference hall on how this theory is standing the test of time. Perhaps the most compelling indication of amyloid’s central role in Alzheimer’s comes from genetics. A few hundred families around the world have tiny changes or ‘mutations’ in their genetic code, which cause them to produce extra amyloid in the brain. People who inherit these genetic mutations almost always develop Alzheimer’s relatively early in life. It seems clear that amyloid is behind these inherited cases, and this is a key piece of evidence implicating amyloid in the non-genetic form of the disease too. In response to the failed clinical trials, Dr Selkoe pointed to signs that suggest anti-amyloid drugs could be effective, but only in the very early stages of Alzheimer’s disease. It may be that if you could give the drugs to people in the period before they develop symptoms, you could tackle amyloid before it really takes hold in the brain. This preventative approach is now the key hope for amyloid-busting drugs. On Saturday, a group of over 150 people from 15 countries gathered together at University College London. Though from different generations, cultures, and backgrounds, they all have something very important uniting them – they are members of families with genetic mutations that cause Alzheimer’s. This remarkable group of people have all had to deal with the impact Alzheimer’s in their family lives, and they have decided to fight back. Last year a clinical trial of the anti-amyloid drug solanezumab was stopped when it didn’t show benefits for people with Alzheimer’s symptoms. However, doctors can be reasonably certain when people with the genetic mutations will develop Alzheimer’s symptoms, so can identify the early window during which amyloid is just beginning to build up in the brain. With the help of this unique group of research participants, doctors are now investigating whether solanezumab and two similar drugs, could prevent or slow the development of Alzheimer’s when given to people before symptoms set in. Sophie Leggett, Alzheimer’s Research UK supporter and participant in the DIAN TU drug trial. If the trials are successful in people with inherited Alzheimer’s, this prevention approach could potentially benefit everyone with the disease, but only if there was an accurate way to identify people before symptoms set in. This is another challenge being discussed at the conference this week. So are all of the research eggs in the amyloid basket? No. While there is good evidence that amyloid build-up is a key change that triggers damage to the brain in Alzheimer’s, researchers certainly aren’t ignoring what else we know about the disease. Amyloid’s partner in crime, the tau protein, is attracting the close attention of researchers at the conference this week, and there is a whole range of other avenues for new treatments that scientists are discussing, appraising and working to move forward. 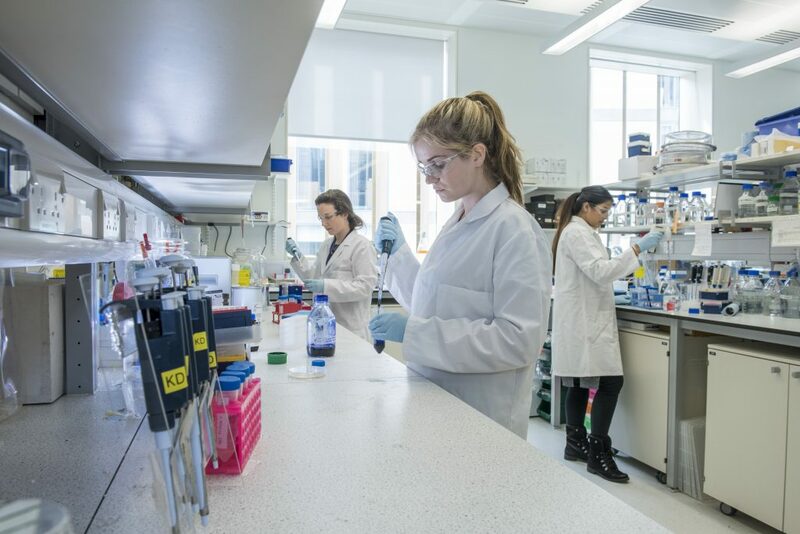 Our Drug Discovery Alliance is a great example of an initiative you’re helping to fund that’s boosting drug discovery efforts for non-amyloid approaches. Genetic evidence, including new findings from this conference, points to a strong role for inflammation in the development of Alzheimer’s. This defence mechanism usually helps to fight off things that could cause harm, but there is growing evidence of it going awry in Alzheimer’s and actually contributing to damage. There is keen interest in targeting this process to tackle Alzheimer’s, and we’ve been hearing from researchers who have inflammation firmly in their sights. On Sunday, Dr Simon Fox explained how innovative research techniques are bringing us closer to drugs that target inflammation in Alzheimer’s. This Alzheimer’s Research UK-funded research focuses on influencing a protein that regulates the brain’s immune response and is one of many studies exploring new avenues for Alzheimer’s drugs. Anti-amyloid treatments are perhaps the most immediate drugs on the horizon, but Alzheimer’s is a complex disease and to have best chance of success, researchers must continue to come at the problem from as many different angles as possible. For many complicated diseases, we take multiple drugs to combat their different facets. This may be the road ahead in Alzheimer’s and researchers are working hard to take that vital first step. Trekking volcanos for our Dad – will you join us?